Most savvy businesses owners know that it’s much more cost-effective to hold onto a current customer than it is to go out and get a new customer. That’s why avoiding customer churn is such an important part of sound business performance, and why companies invest in loyalty and discount programs – to keep customers happy and increase the amount of repeat business they get. The same idea holds true for employees, too. It’s not enough to just recruit the top talent – the real ROI in recruitment comes in retaining those top performers for years to come. Otherwise, employers are just spinning their wheels, replacing employees as fast as they recruit them. The official term for this cycle is employee turnover, and it can seriously disrupt an organization’s productivity levels and employee morale, not to mention its bottom line. The costs associated with replacing an employee can be generally sorted into one of three categories: separation costs, recruitment costs and productivity costs. Separation costs are the immediate costs an employer incurs when an employee leaves. These include things both routine and anticipated – severance pay, unemployment insurance claims (depending on the circumstances), continued benefits, etc. – as well as costs that businesses might not expect – the time other employees spend processing the employee’s termination, time spent conducting exit interviews, etc. Recruitment costs are those that an employer incurs looking for someone to fill a position, from the time it takes to update the job description to the cost of training the new employee, and everything in between. The longer it the hiring process takes, the more expensive the recruitment costs become. Productivity costs are a little harder to quantify than separation costs or replacement costs. Included in this category are not only the hours of productivity the company loses while the position goes unfilled, but also the time other employees spend trying to pick up the slack. Then there’s the time it takes for the new employee to get up to the level of production and productivity of the previous employee, which can range from just a few days to a few months depending on the type of position. But time isn’t the only productivity cost. Every time an employee leaves, they take with them all the experience and expertise they employee brought to the job, as well as the benefits of any training they received during their employment. The employer doesn’t get to recoup any of the investment it made in training that worker – all of that only benefits the employee and their next company. The nitty gritty of employee turnover, the part that most employers are really interested in, however, are the actual dollars and cents – the real number it’s going to cost them to replace an employee. Before an employer can discover the impact employee turnover has on the overall organization, though, it’s helpful to understand the financial impact of replacing just one employee. Any number of surveys will tell you it can cost tens of thousands of dollars to replace even entry-level workers. While alarming, there’s another, even more important number employers need to be able to calculate when it comes to employee turnover: their employee turnover rate. Number of employees who left during a given time period divided by the average number of employees employed during the given time period. Multiply by 100. Greg is the owner of an accounting firm, and he wants to know his company’s employee turnover rate for the previous year. At the beginning of the year, he employed 92 people, and at the end of the year he employed 108 people, giving him an average of 100 employees last year. Over the course of the year, five employees left or were terminated. 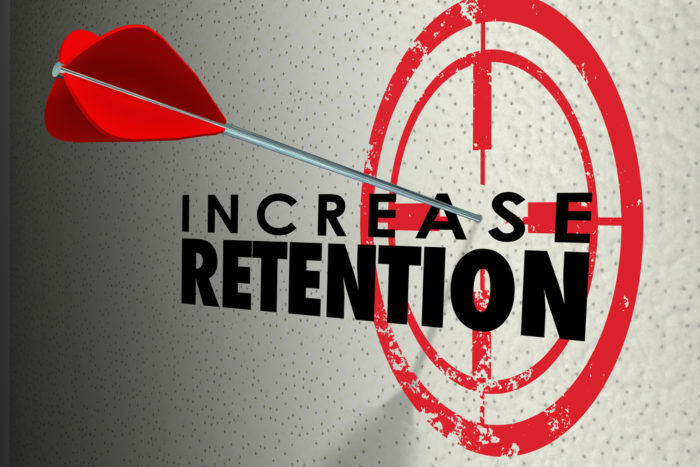 To calculate Greg’s rate of employee turnover for the year, he simply needs to divide the number of employees who left during the year (five), by the average number of employees during the year (100), and multiply by 100. In Greg’s case, his annual employee turnover rate was 5%. On its own, that number doesn’t mean a whole lot. To really understand the impact turnover is having on an organization employers need to look at these figures compared both to other organizations in their industry and region (which can be found on The Bureau of Labor Statistics’ Job Openings and Labor Turnover Survey (JOLTS) website), as well as their own historical data. No matter the reason for the separation, or who terminated the employment agreement, or what level an employee had within the organization, every time an employee leaves a company it has the potential to takes a toll on the organization’s bottom line. Employers who find a way to combat employee turnover they may experience will not only likely enjoy higher profit margins, but also reap the rewards of a happier, more engaged workforce. Deanna Bretado has more than a decade of human resources management experience. In her current role as an HR Client Advisor for G&A Partners, a national professional employer organization (PEO), Deanna plays an integral role in supporting the development and implementation of HR policies, procedures and practices for the firm’s clients.